In her interview with Comic Vine this week, writer Gail Simone talked about her work on Dark Horse’s upcoming line of Tomb Raider comics, her thoughts on the new Lara Croft, and her vision for the next stage of Lara’s transition from survivor to hardy adventuress. 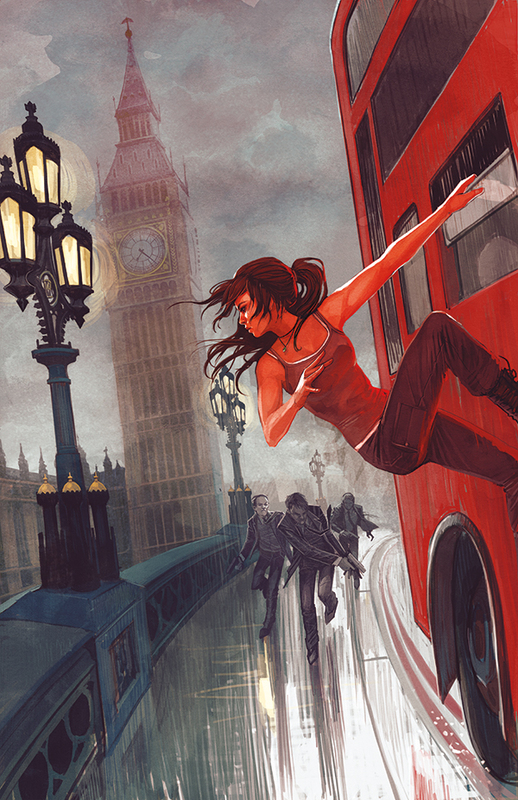 The comics pick up where the game left off and will bridge the gap between Tomb Raider 2013 and the planned sequel. The first issue will be out on 26th February 2014 and the second and third issue are scheduled for release on 26th March and 23rd April respectively. Curious to find out where Lara’s next adventure will take her? You can pre-order the 1st issue of Dark Horse’s new series of Tomb Raider comics now by visiting the TFAW Comics online store. UPDATE: You can find another interview with Gail Simone, this time with Comic Book Resources, over here. I’d kind of like Sam to get lost somewhere in this comic series and never be in the game series again. FIngers crossed. Get paid tomorrow and will be pre-ordering.